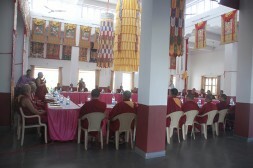 This meeting was a gathering of some of the top scholars from the main Geluk monastic universities. They met to discuss the first manuscript of the first volume of the compendium that is being created of primarily scientific and philosophical Buddhist knowledge. The first volume of three is purely about Science. His Holiness the Dalai Lama has stressed time and time again that to be 21st century Buddhists, we must have a good understanding of the modern sciences. 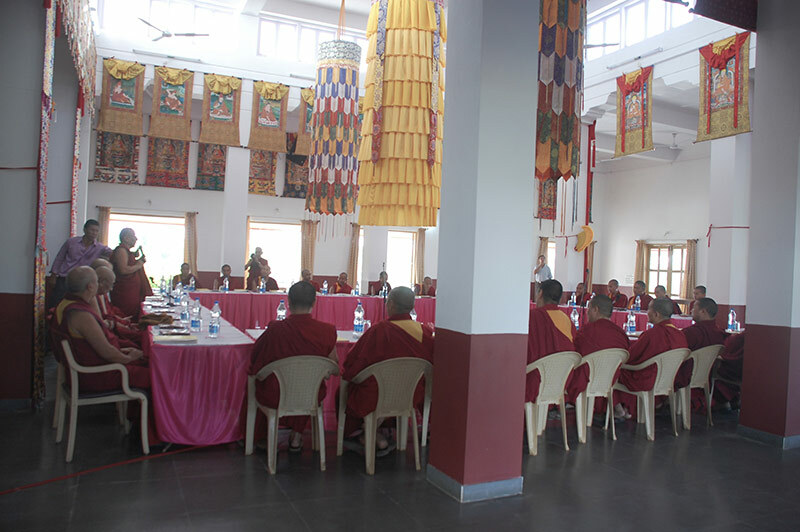 The draft that was discussed at the conference in Rato Monastery, Mundgod, Karanataka will eventually be a text book. The meeting was held to review and respond to questions and make suggestions. It would take a few months to revise and make a final draft. The final product is due to be ready by end of the summer of 2013. His Holiness has implemented science as a new subject in monastic institutions as a result of his dialogue with the scientific community that has spanned over two and a half decades. 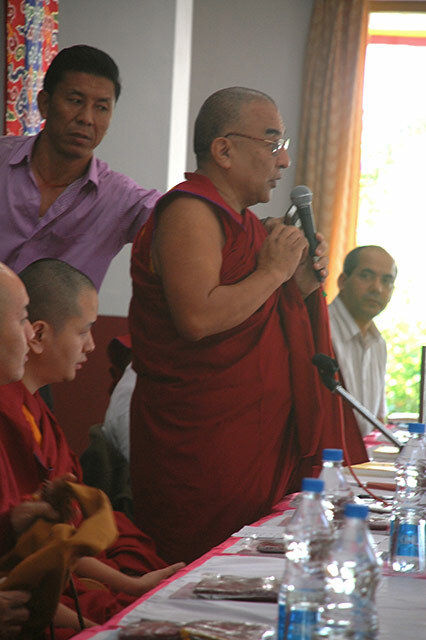 To this end, the Dalai Lama Trust has funded this project, and in particular this meeting in January of 2013. This volume will be beneficial to the monks and nuns and further their understanding of scientific studies. 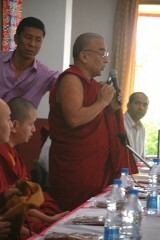 It will also help lay people by giving them an idea of the history of Buddhist thinking in this domain.